Divorce — it's not about destruction. Our mission is to spare families from the destructive forces of divorce litigation and help divorcing spouses maintain control of their futures. We believe families in transition need support from various professionals working together to restructure and transform their lives. The inherent adversarial nature of the court system fails to provide that support or foster an atmosphere of compromise and healing during one of life’s most traumatic events. Far too often, “divorce” becomes synonymous with “destruction.” Fortunately, it doesn’t have to be that way: a divorcing spouse doesn’t have to be a warring spouse. Just because the relationship you once had with your spouse is changing doesn’t mean it must be completely destroyed. 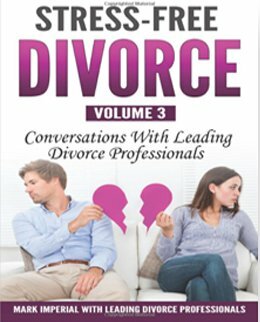 After decades of practicing matrimonial and family law in the litigation model, we concluded that litigation, in the context of divorce, is unnecessarily divisive and destructive to the emotional and financial well-being of families and undermines the possibility of a positive future relationship between former spouses. This insight led to a mission: empower and assist couples in transforming from a nuclear to bi-nuclear family in a cost-effective and time-efficient manner with dignity and privacy. We focus on helping divorcing couples restructure the financial and co-parenting aspects of the family and move forward in a positive direction with a strong foundation. Together, we get to the heart of underlying issues, develop realistic goals for the future, and formulate creative and functional solutions tailored to the needs of both the individual and the new bi-nuclear family. To that end, we offer collaborative divorce, mediation, and negotiated settlement as healthy and positive alternatives to adversarial litigation. For more than 25 years, Kim Ciesinski has focused her legal career exclusively in the area of Divorce and Family Law. She represents clients in all aspects of divorce and family law matters, including custody, parenting time schedules, spousal maintenance, child support, distribution of assets, prenuptial and postnuptial agreements, as well as post-judgment proceedings. Sadly, the word “divorce” has become synonymous with “destruction.” But Kim believes it doesn’t have to be that way. Ms. Ciesinski believes that divorce can and should be a process of restructuring the financial and parental aspects of a family unit through a healthy, positive process. She strives to move clients through this often devastating experience by thinking out of the box and creating realistic long term goals to make the transition from marriage to divorce less traumatic. To that end, Kim focuses her practice on collaborative divorce, mediation, and negotiated settlement as highly effective alternatives to adversarial litigation. Ms. Ciesinski’s goal is to listen, understand, and acknowledge her clients’ needs and desires and help them restructure their families by reaching a fair settlement, with the least possible emotional and financial trauma. Certified in mediation from the Ackerman Institute for the Family, and highly trained in Collaborative Interdisciplinary Practice from the New York Association of Collaborative Professionals, Kim pursues ongoing advanced training every year. Ms. Ciesinski co- authored a book entitled, “Stress- Free Divorce – Volume 3”. She speaks and writes articles on the subject of Collaborative Divorce, and shares her alternative divorce expertise in multiple interviews in the press and on several radio shows. 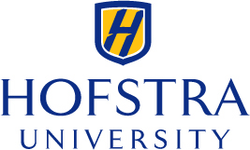 A strong advocate for families, Ms. Ciesinski serves on the Advisory Board for The Center for Children, Families and the Law at Hofstra Law School. A Special Master for the Nassau County Supreme Court, appointed by judges, she assists in resolving highly contentious matrimonial cases before trial. Kim is a member of the Nassau County, Suffolk County, New York State, and New York Women’s Bar Associations as well as the New York State Association of Collaborative Professionals and the International Academy of Collaborative Professionals. Active in the community, Ms. Ciesinski gives back through fundraising and philanthropy as a current board member of The Red Cross Long Island region. She is a former board member of Girls Inc. and past president and board member of The Junior Welfare League of Huntington. Kim is a graduate and member of the Energeia Partnership at Molloy College, a regional leadership program. She is also a member of Hofstra University’s Women in Leadership Initiative, which helps to mentor and empower Hofstra students and alumnae. Discover our top awards and accolades.